The region of central Evia is characterized by the brilliant historical presence of two of the most important cities of ancient Greece. 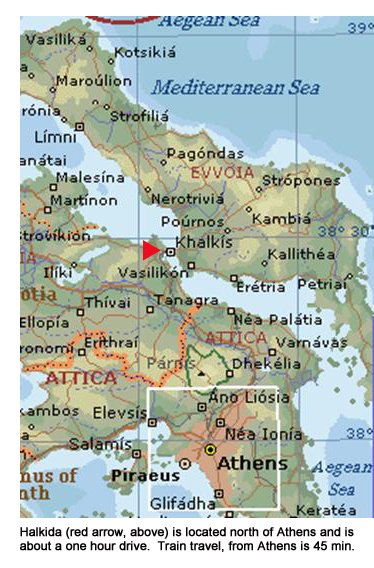 Halkida and Eretria, long before the appearance of Athens, have established the worldwide mark of the Greek culture. The capital of Evia, astonishingly beautiful indeed, instantly wins over anyone who crosses the old bridge of Euripus and Evia. A city, with history and culture that is lost in the depths of the ages. By the many colonies of Halkida, (Halkidiki, S. Italy, Ionian coastland etc), civilization was passed to the world through written speech. The well known Halkidiko or Kimaiko alphabet (ancestor of the Latin alphabet) was the first attempt of man to immortalize his experiences and history. For the visitor of modern Halkida, apart from the natural beauties of the city, it is worth taking time in sampling some of the history of of Evia and the many monuments it has to offer. Halkida has always been the natural entrance to Evia. 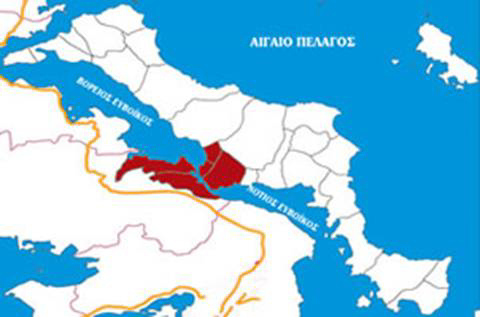 The capitals of the prefecture, as well as the cities around it, are considered as distant suburbs of Athens, since the bridges of Euripus are less than 80 km away from the Greek capital.